June is proving out to be a very busy month. And, then, on Tuesday, 23 June, Bob O'Connor returns with his first non-fiction book, The U.S. 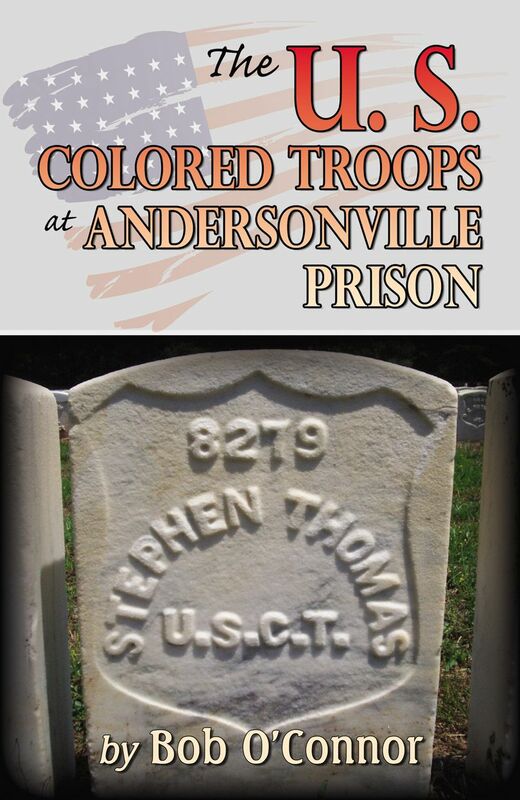 Colored Troops at Andersonville Prison. We carry O'Connor's other books, all fiction, but meticulously researched, including The Perfect Steel Trap: Harpers Ferry 1859. This topic should prove interesting for Civil War buffs as well as those interested in African-American history. O'Connor describes the book as containing photographs of all the gravestones of the members of USCT who died at Andersonville. There was one person uncommemorated as he was buried in an unmarked grave. Why? We'll have to ask O'Connor when he comes or read the book. Please join us! In the meanwhile, we can add all of them to our prayers on Memorial Day, along with John Fanelli, Frances Dunphy, Stanley Lee, and all the other war veterans and fighters for freedom and the U.S. of A, like Charles Dunphy, who have since passed.